Recipe contributed by D. Prewett of Wild and Whole. Pho, pronounced “Fuh”, is the popular Vietnamese version of chicken noodle soup. Pheasant Pho is on regular rotation at my house during the winter months, it does a great job warming me up and clearing out my stuffed nose! 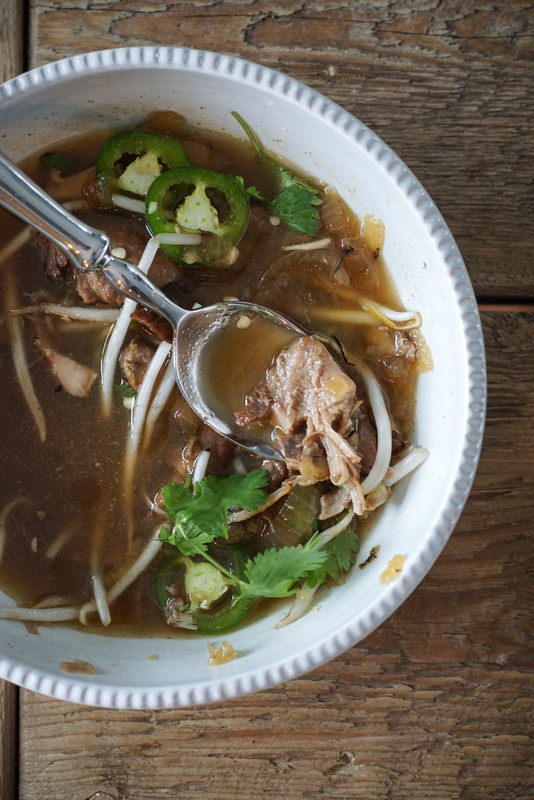 The broth is fragrant, spicy and complex, each ingredient building another layer of flavor. Cinnamon Sticks, Whole Cloves and Star Anise Pods are what really make this broth so unique and flavorful. I like to make a Bouquet Garni with these ingredients, which is essentially a little pouch made of cheesecloth and tied together with kitchen twine. This makes it easy to retrieve it out of the soup when it is done so you don’t bite into big pieces of dried spices. Ginger is another important ingredient for this recipe. You can either use a 1″ piece of minced fresh ginger and add it to the soup at the beginning of cooking, or you can roast it in the oven for a more robust, slightly smokey flavor. It takes a few hours for the soup to cook, during that time you can roast a large chunk of fresh ginger in the oven under the broiler for about an hour or until the skin starts to char and the inside begins to soften. You can then scoop out the pulp and mash the ginger in a mortar and pestle until it forms a thick paste. Towards the end of cooking, add a heaping tablespoon of this roasted ginger paste to the soup. You can reserve the rest for future cooking in things like salad dressings, marinades, stir-fry sauces or other soups. I love to use the thigh meat from pheasants for recipes like this. After every hunt if I decide not to pluck the whole bird, I break it down, de-bone the legs and freeze a bag of all the thigh meat for meals such as this. The drumsticks have a ton of skinny little bones that splinter when cooked and its a pain to get it out of stews. So, I usually debone the thigh meat, cut a nugget off the calf and keep the rest for stock. 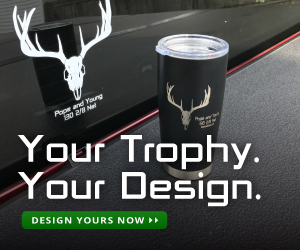 I cringe when I hear a hunter say they throw away the thigh meat because they think it is too tough, dry or don’t feel like dealing with the bones. The pheasant thighs become so tender and infused with the flavor of the broth when cooked on low heat for long periods of time. This is the perfect soup to make on a cold Sunday when all you wanna do is Netflix and chill! Enjoy. Make the Bouquet Garni by wrapping the Cinnamon Stick, Star Anise Pods, Cloves and Coriander Seeds in cheesecloth and tying together with kitchen twine, leaving a long string attached to make it easier to retrieve out of the soup. In a large dutch oven or pot, heat oil over high heat. Add the pheasant thighs and brown on each side, remove and set aside. Add the onions and continue to cook over high heat, allowing it to char a little. Add the Pheasant thighs back to the pan and add the stock and fish sauce. Add the bouquet Garni to the pot. Reduce the heat to low, cover and allow it to cook for 3 or more hours, or until the pheasant thighs are extremely tender and falling apart. During the last 10 minutes of cooking, add the roasted ginger and a package of rice noodles. Continue to cook until they are fully cooked and tender. Serve with Fresh Bean Sprouts, Jalapeno Slices and Cilantro. Danielle is a small town girl from Texas who now calls North Dakota home. Despite being raised by her father who was a hunter, she didn’t enjoy hunting and cooking game until she met her husband, an avid outdoorsman. She has always been conscious of living a healthy lifestyle, but the wild game and public lands of North Dakota have offered her a new perspective on what a healthy lifestyle should consist of. 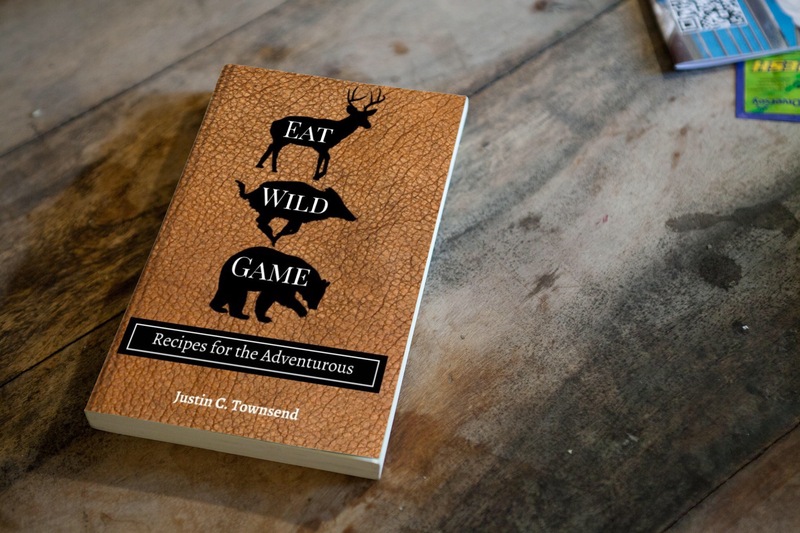 She is passionate about cooking and the author of the blog, Wild + Whole, whose main focus is to share healthy recipes for wild game. When Danielle is not cooking, you can find her in the field helping her husband train their Golden Retriever and Deutsch Drahthaar into the fine hunting companions they are now.